OPINION — As veterans we all put our name on the line to give all we had to do our duty, even if it cost our life, when we swore the Oath of Enlistment. 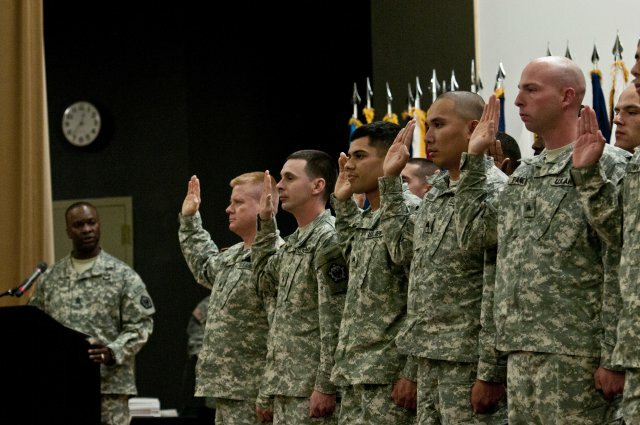 I, _____, do solemnly swear (or affirm) that I will support and defend the Constitution of the United States against all enemies, foreign and domestic; that I will bear true faith and allegiance to the same. Try as I might, I cannot find an expiration date on The Oath, and so I take it that we are still sworn to uphold that commitment. No matter how odious it may seem, further specification in The Oath directs that we will follow the orders of the president of the United States and so we are bound to that as well. A tricky part of The Oath is found in the phrase “… foreign and domestic …” as this presents the reality that there are enemies of this country that are part of the population; people who intend evil for our country and, by extension, for us. We are thus charged with defending our country against those among us who would hurt us. I think that we all, without too much difficulty, can identify some of those who are enemies: bank robbers, kidnappers, identity stealers, rapists, murderers and some politicians. For the first five groups, we depend upon the police to take care of them but for the last, some politicians, it is certain that unless they do some of the things the other five categories do they aren’t going to be dealt with by the police. So who defends us against the enemy politicians? 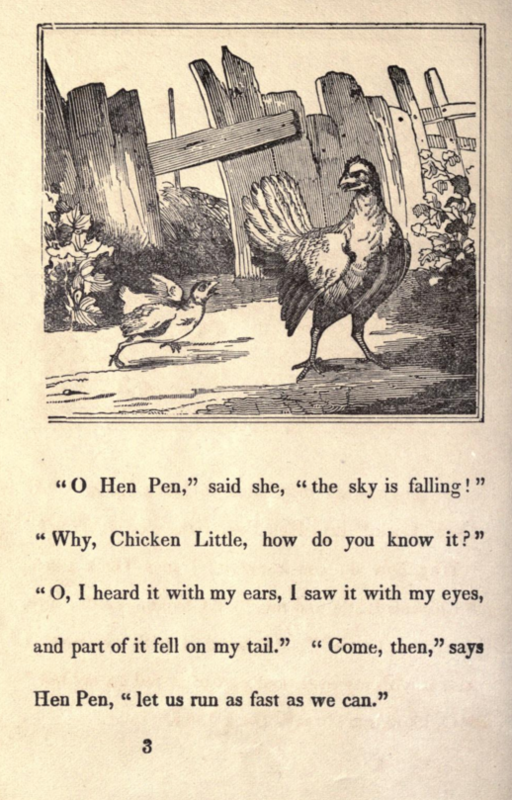 Chicken Little, as you may recall, became notorious for running around the neighborhood crying, “The sky is falling.” By doing so, she got everybody’s undies in a bunch over a personal issue, so it has become politically incorrect to run around shouting such things. I believe, however, if you consider the present state of the world – the worry over gold and economics, the resurgence of U.S.-China-Russia tension and the rabid raging of ISIS – you hear a little Chicken Little-like peeping. Things are just not good and there are a number of enemies threatening us and the United States. We elect a new president of the United States this year; we fill the seat of the most powerful person in the world! We cannot afford to let 20 percent of the population decide who becomes president because 80 percent of us are too busy watching “American Idol,” “Duck Dynasty” or complaining about the way we let things be. There are nearly 12,000 veterans in Washington County alone, and that is enough to assure that no one who the veterans don’t approve of could ever be elected to positions in the region. I’d bet there are more than 50 million veterans in the United States, and that would be enough to assure that anyone who veterans do not approve of could not be elected president of the United States! As we stood for our country, let’s stand for our country! It is time for veterans to gather, to talk and plan together and to develop a plan that will guarantee that someone who will be best for the American people and the American spirit is elected president of the United States. Can you hear a little Chicken Little-like peeping? Let’s do some gathering of the vets and get the leadership and representation America deserves! 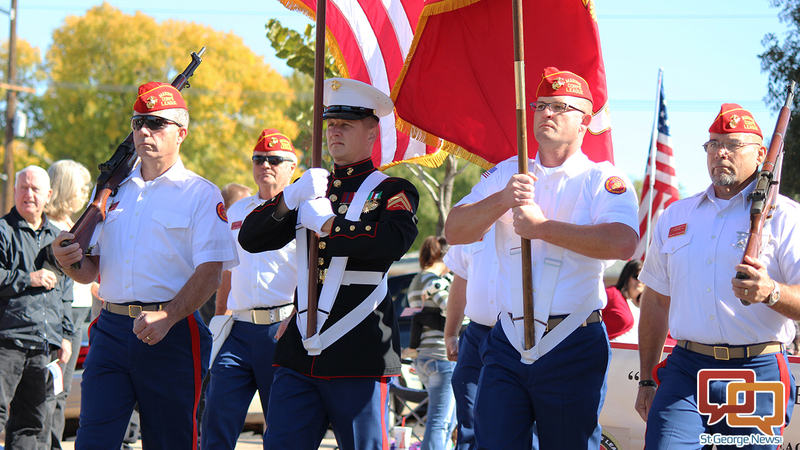 Veterans Aware: How lucky do you feel, St. George? Thank you Mr. Solomon for a thoughtful article which does not infer any political sides, but only to vote for good leaders. I hope the veterans will stand up again for their country and ask the rest of the country to go out of their way for one hour and elect mature, and responsible people to take care of this country. It is not fair to ask a person to take the Oath of Enlistment, if we do not do our part by voting. I loved your article. Now if you can just persuade you fellow veterans to vote in a manner that is NOT against their own economic self interest, in other words, leave party lines behind and vote for what is really best for this country.